New York Folklore has been selected to create one of sixteen projects nationwide for the Smithsonian’s Stories from Main Street: Youth Engagement and Skill-building Program (Stories: YES). The program is a collaboration between youth participants of The Schoharie River Center and New York Folklore to develop stories around the theme of the Smithsonian Museum on Main Street Exhibition “Water/Ways”. Stories: YES participants weave national narratives from the exhibition into the history of their own region by conducting research and interviews to create a project highlighting their communities. The program engages kids with regional history and contemporary local issues, while providing an opportunity to use professional equipment and learn real-world skills. Youth projects will be displayed locally and their digital stories will be shared on Museum on Main Street’s website. Equipment purchased through the project will be available for future student success. Funding for Stories: YES is generously provided to Museum on Main Street (MoMS) with internal Smithsonian Institution Support from the Smithsonian Youth Access Grants Program. MoMS is a partnership between the Smithsonian Institution Traveling Exhibition Service (SITES) and state humanities councils. It was created to serve museums, libraries and historical societies in rural areas, where one fifth of all Americans live. SITES has been sharing the wealth of Smithsonian collections and research programs with millions of people outside Washington, DC for over sixty-five years. It connects Americans to their shared cultural heritage through a wide range of exhibitions about art, science, and history, which are shown wherever people live, work and play. 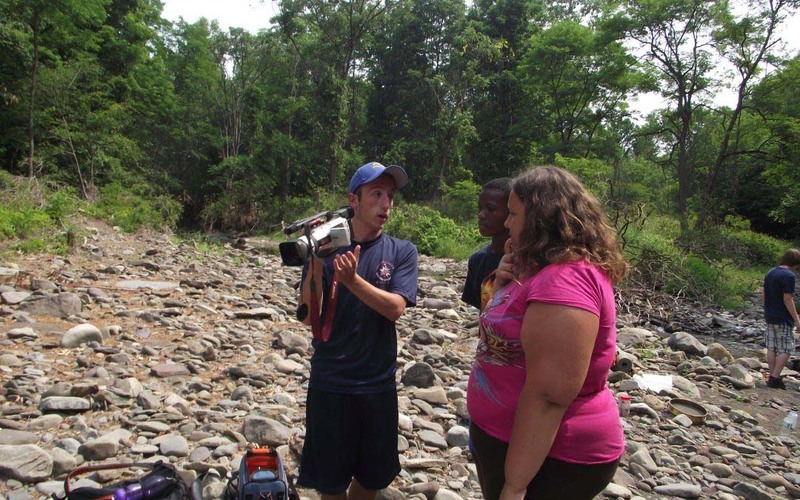 Since 2010, New York Folklore has been working in partnership with the Schoharie River Center, a youth development program that engages youth in educational and scientific inquiry of their regions’ waters, to document the region and to create digital portraits of the Mohawk Watershed. For information on the local Stories: YES project or to participate, please contact John McKeeby, Executive Director of the Schoharie River Center at john.mckeeby@scoharierivercenter.org or Ellen McHale, Executive Director of New York Folklore at emchale@nyfolklore.org or 518-346-7008.